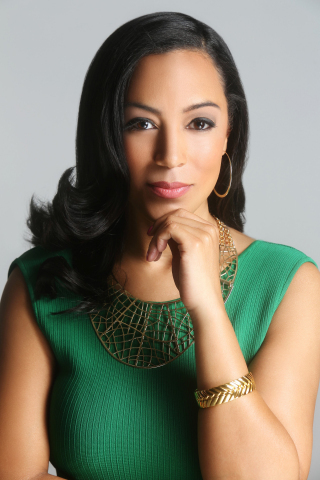 NEW YORK--(BUSINESS WIRE)--On Wednesday, October 3, at 10 PM, ET/PT, BET News will broadcast When We All Vote, a news special hosted by noted political pundit Angela Rye that aims educate and inspire viewers to register and vote in the upcoming midterm elections. Shot on location in Houston, Miami and at Spelman College in Atlanta, this BET News special highlights the grassroots efforts of When We All Vote – a new voter registration initiative led by former first lady Michelle Obama. When We All Vote, a BET News special, features appearances by Michelle Obama, Janelle Monae, Chris Paul, Tom Hanks, Kelly Rowland, Fat Joe, Erica Campbell, Kendrick Sampson and more. This special will also include voices of students and other first-time voters speaking out on the rights and responsibilities we all have as citizens in shaping our democracy by registering to vote. BET Networks, a subsidiary of Viacom Inc. (NASDAQ:VIA)(NASDAQ:VIA.B), is the nation's leading provider of quality entertainment, music, news and public affairs television programming for the African-American audience. The primary BET channel is in nearly 85 million households and can be seen in the United States, Canada, the Caribbean, the United Kingdom, sub-Saharan Africa, France and South Korea. BET is the dominant African-American consumer brand with a diverse group of business extensions including BET.com, a leading Internet destination for Black entertainment, music, culture, and news; BET HER (formerly CENTRIC), a 24-hour entertainment network targeting the African-American woman; BET Music Networks - BET Jams, BET Soul and BET Gospel; BET Home Entertainment; BET Live, BET’s growing festival business; BET Mobile, which provides ringtones, games and video content for wireless devices; and BET International, which operates BET Networks around the globe.